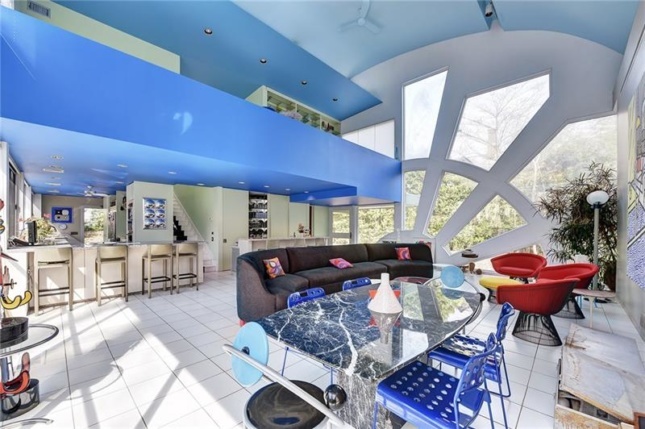 Only a month-and-a-half after a colorful Robert Venturi and Denise Scott Brown-designed house in Shadyside, Pittsburgh was put up for sale, AN has learned that the new owner plans on tearing it down. 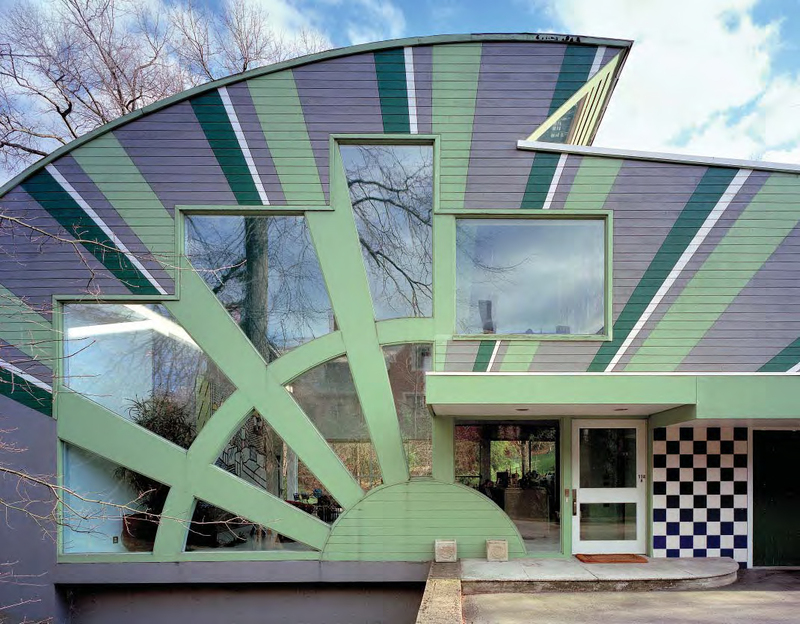 The Abrams House, commissioned by Irving and Betty Abrams and completed in 1979, is a striking example of Venturi’s playful postmodernist style. One-half of the roof curves and swoops like a cresting wave over the more traditionally-shaped rectangular portion, with a 20-foot-high vaulted ceiling below. The house’s front facade is capped with a window arrangement that resembles both a ship’s wheel as well as the rising sun and is accentuated with green-and-white “rays” emanating from the window assembly. A ribbon window wraps around the house and illuminates the interior, allowing the primary colors used everywhere from the soffits to the furniture to stand out. A mural by Roy Lichtenstein in the living room accentuates the house’s pop art aesthetic. 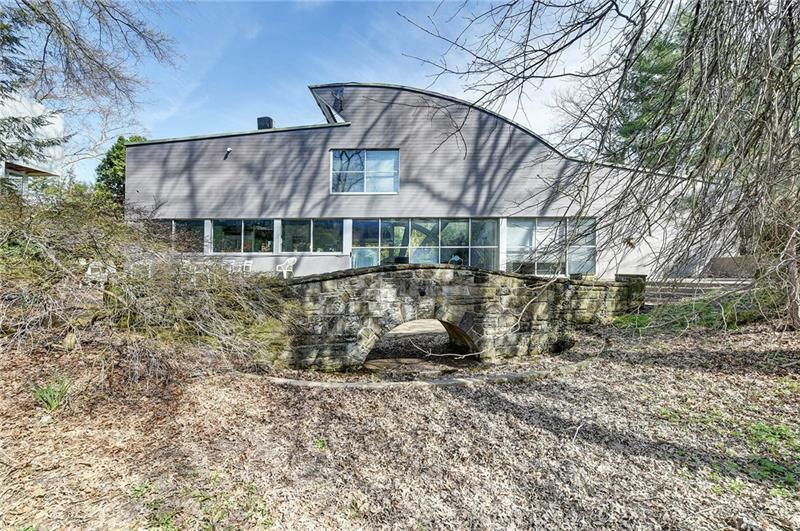 Other than the colorful flourishes, the Abrams House is particularly notable for its location; the house is surrounded by midcentury work from well-known architects, including the Frank House by Walter Gropius and Marcel Breuer and the Giovannitti House by Richard Meier. The two-bed, two-and-a-half bath was put up for sale in mid-June of this year for $1.1 million, and the new buyer, Bill Snyder, closed on the building on July 20. Preservationists had briefly hoped that Snyder, who also owns the Giovannitti House, would restore the building, but a demolition permit was filed on July 23. Pittsburgh requires a 15-day wait period between the filing of a demolition permit and the start of work, but an anonymous source has informed AN that the interior of the house has already been gutted. 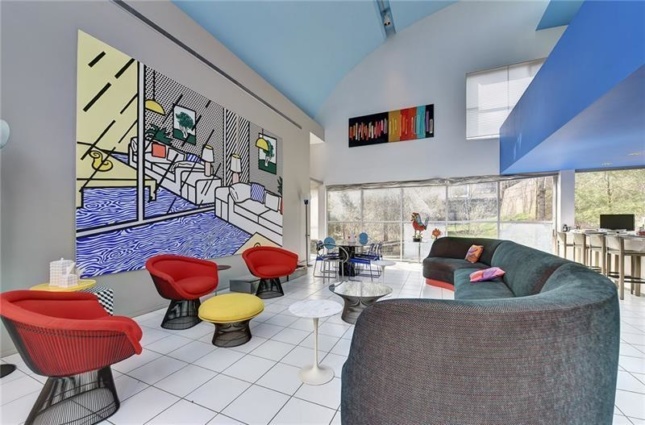 The large Lichtenstein piece has been covered and removed, either causing or revealing significant degradation in the wall behind, and fixtures throughout the house have been cleared out. 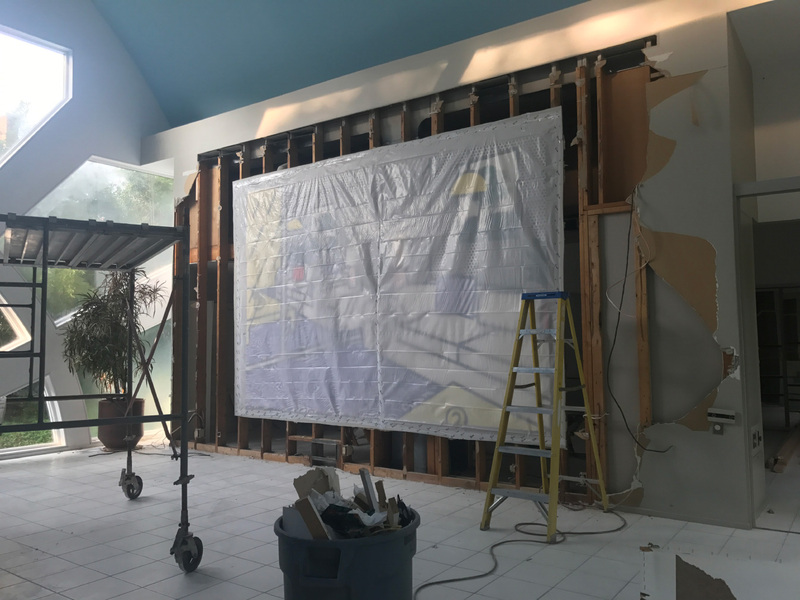 Snyder had purchased the Giovannitti House from its original owners, Frank and Colleen Giovannitti, in 2017 and is currently restoring the exterior of the home to its original condition. With the demolition of the Abrams House, the entire lot may become a landscaped addition to complement Meier’s building. Brittany Reilly, a board member at the nonprofit Preservation Pittsburgh, has been trying to raise awareness of the house. According to Reilly, the home is a unique piece of architecture for Pittsburgh in a neighborhood full of architecturally-significant houses. The problem? The Abrams House isn’t visible from the street, and Reilly believes that seclusion has led the public to overlook it. The next step for preservationists is to “respectfully” drum up community attention to the demolition. Preservation Pittsburgh has reached out to VSBA Architects & Planners, who were unaware of the demolition, as well as other Pittsburgh-based preservation groups, and is currently trying to establish a dialogue with Snyder. AN will follow this story up as more details become available.